This recipe is best made as 2 long skinny loaves of French bread. 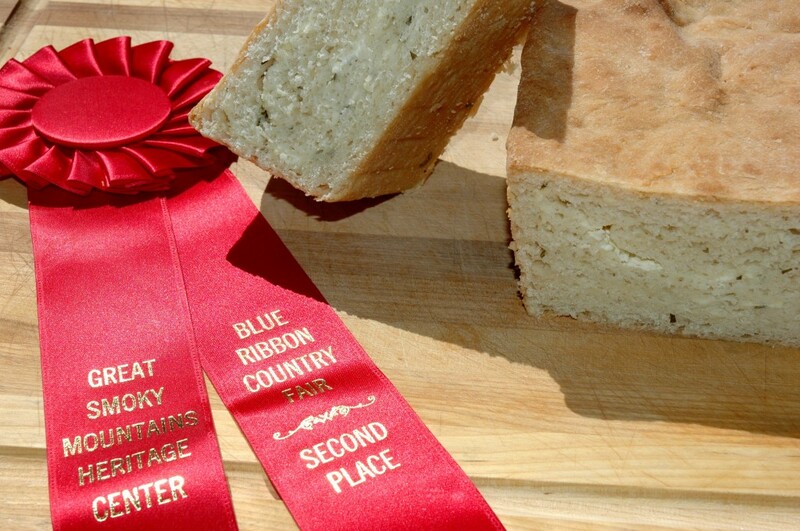 It is possible to make it in a bread pan, which I had to do to enter it in our county fair where it won second place. Melt ¼ cup butter in saucepan. Add milk and water and bring temp to between 120-130 degrees F.
In a separate mixing bowl combine 2 cups flour, sugar, salt and yeast. Add the liquid mixture and beat at low speed with an electric mixer until blended. Beat another 2 minutes at medium speed. Turn dough out onto a floured surface; knead lightly 4 or 5 times. If made as French loaves, divide dough in half and roll out into a 16” by 8” rectangle. Brush each of the rectangles with 2 T of softened butter. Sprinkle 3 oz of feta on each rectangle and sprinkle on fresh rosemary to taste. Roll up jellyroll fashion on the long side pinching ends to seal. 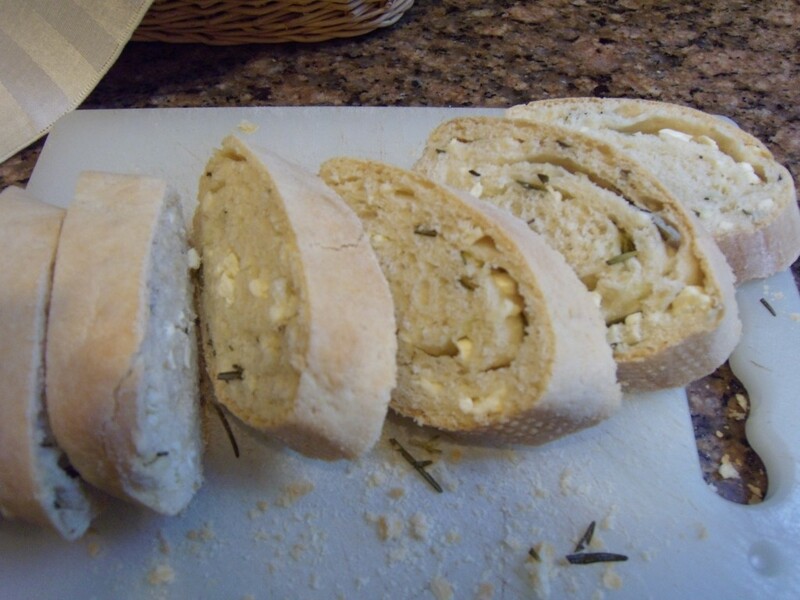 Place dough seam side down on a lightly greased French bread pan or on a large baking sheet. Brush each loaf with the last of the melted butter. Cover and let rise in a warm place 85 to 100 degrees for 45 minutes or until doubled in size. Bake uncovered 375 for 15 minutes, then reduce temp to 350 and bake an additional 20 more minutes or until loaves sound hollow when taped.